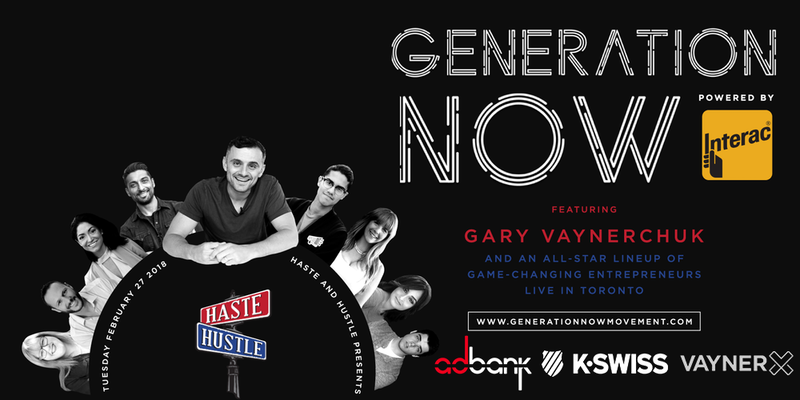 Adbank is proud to be a presenting sponsor of Generation Now, an event focused on helping shape the next generation of entrepreneurs. The event will feature Gary Vaynerchuk, arguably marketing & advertising’s most well known figure. Other sponsors include Interac, KSWISS and VaynerMedia. Adbank CMO Angelo Dodaro will be interviewing Gary on stage to lead the discussion on innovation in digital advertising (plus a few crypto & blockchain related questions). We are dedicated to investing in the future of technology and entrepreneurship which is among many of the reasons we’re excited to be involved. Adbank will be coordinating a bus load full of kids from Collingwood, ON (where Adbank HQ is located) that will attend the event for free to help inspire and educate the next generation of talent in our area. Angelo will be doing a live Q&A with Gary for the Adbank community the day of the event — submit your questions here & make sure to note it’s for Gary in the form. advertising is broken. let’s fix it.